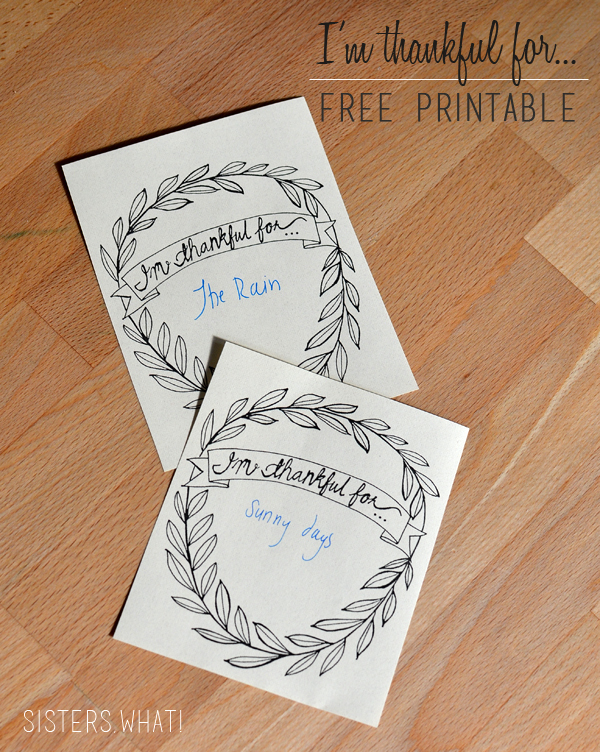 ' I'm Thankful For...free Thanksgiving printable - Sisters, What! I LOVE November and especially Thanksgiving. Growing up, it was all about the food. I used to look forward to waking up early with my family and cooking ALL day, while watching our families favorite movies and musicals. 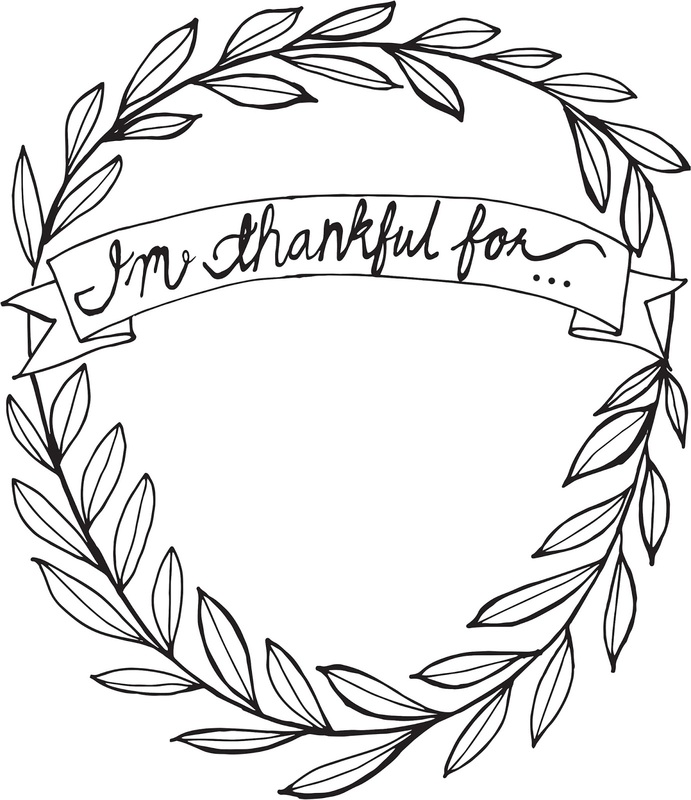 But for the past 10 years, I think I've finally started truly appreciating what be thankful really means. This year, the day before Thanksgiving will be 8 years since I had a serious rock climbing accident. I don't often think about what happened 8 years ago, but every Thanksgiving I am reminded of how blessed I am to still be alive. As I think on that day, I suddenly feel overwhelmed of all the blessings I have in my life and how often I over look them. Now every year, I try to do a daily thankful wall during November with my little family. 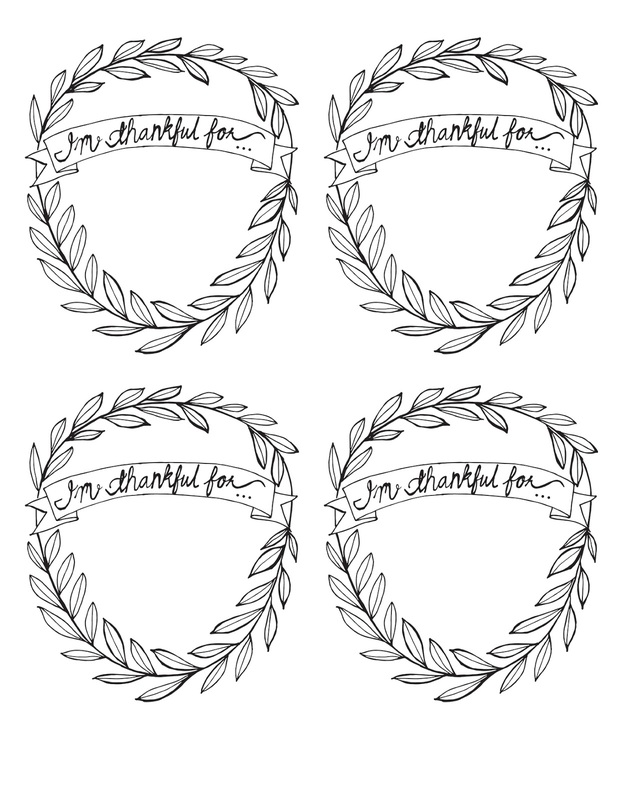 This year, I thought it'd be fun to make a cute little design to write what we're thankful on. It was kind of fun because this was my first time taking one of my sketches and making it into a digital design. I've never used Illustrator before, so it took me a while to figure it out. I'm really excited to possibly turn more of my sketch designs into digital designs. 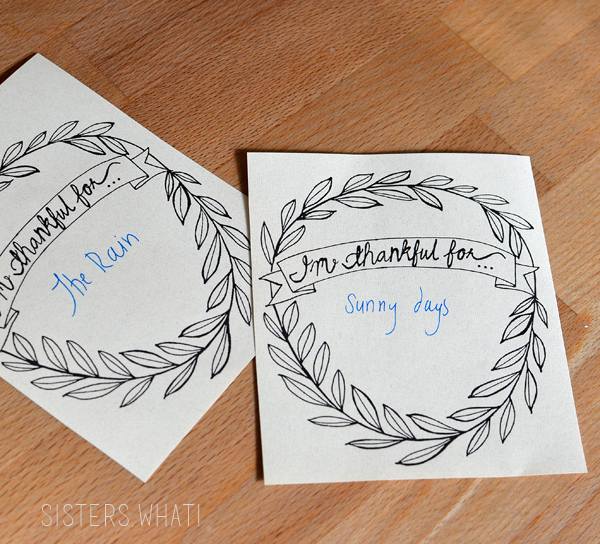 These are So cute, totally using them on my Thanksgiving Table, pinning! Thanks for linking up to the DIY Inspired link party!